Well, this is definitely in my top ten of the most addictive games. 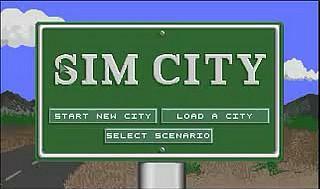 Sim City was the game that put Will Wright's name on the map, and 11 years later he went on to create an even more popular game, The Sims. 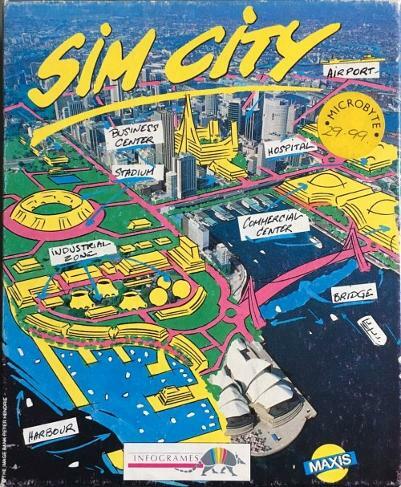 This was one of the first sim games (Populous was also released the same year) and inspired many that followed it. For me, the greatest enjoyment came from the sandbox mode, something that was extremely unique in the 1980's. You could start with a blank canvas (or a partly-built one) and mess around to your heart's content, without worrying about time limits or scenarios. You could also unleash natural disasters on your city, which was great fun in a computer game as nobody actually gets hurt. I enjoyed the game so much that I bought it again for my PC around six years ago. It's one of those games that you find yourself going back to time and time again. A true classic. In fact, I think I might go and have another play at it right now! 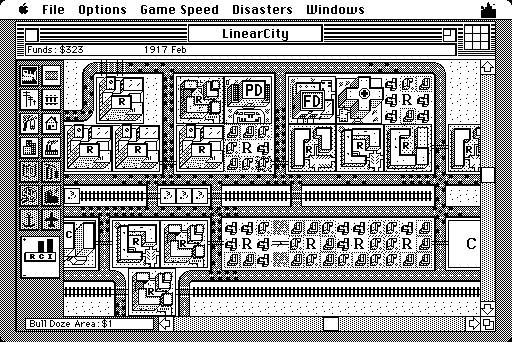 Sim City on Apple System 6.0. The game was in monochrome on the Apple Mac but the interface was very similar to other colour versions.